I have one yearling gelding, Henhope Scorchio, for sale at present. He is a strongly built boy from championship winning sire Halstock Matador. His dam is Henhope Charlotte Sometimes who won the Yearling Class at National Shetland Performance Show. 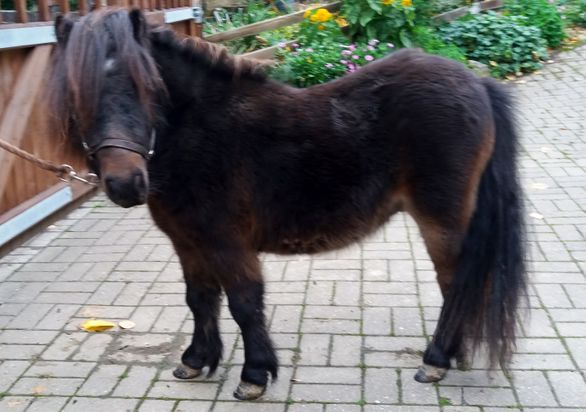 Scorchio is dark bay, with a wealth of mane, tail and bone, and will make an ideal companion or child's pony. He has pleasing paces and will show well. I am looking for a long term home for him with other equine company. £550 which will include transfer fee to Stud Society.